The title compound C18H17NOS was synthesized by condensation of thiochroman-4-one with 4-dimethylaminobenzaldehyde. The possible existence of the 3-(4-(Dimethylamino)benzylidene)thiochroman-4-one (E)- and (Z)-geometrical isomers was investigated using B3LYP/6-31G**. 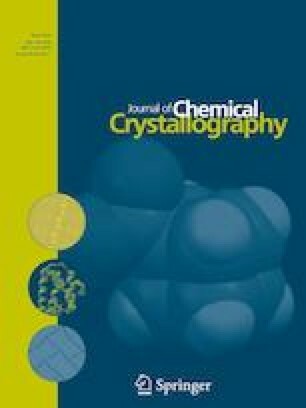 Crystallographic and vibrational data are compared with the results of Density Functional Theory (DFT) B3LYP/6-31G** level. Bond orders were estimated using the NBO calculation method correlating with changes in the bond length. To explain deviation of an ideal molecular geometry, the concept of non-equivalent hybrid orbitals was invoked. The studies of X-ray diffraction revealed strong intermolecular interactions between dimers of the compound connected to each other through dipole–dipole interactions S–C, N–C y O–C in the absence of hydrogen bonding. 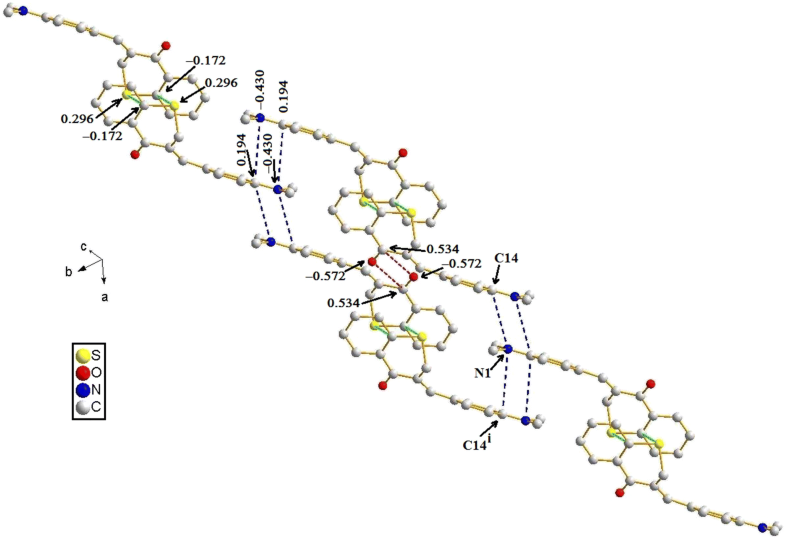 In this report, a study of the structural characterization of (Z)-3-(4-(dimethylamino)benzyliden)thiochroman-4-one is carried out by spectroscopic methods, single-crystal X-ray diffraction and functional density calculations. We would like to thank the Centro de Investigaciones Tecnológico y Humanístico de la Universidad Politécnica Territorial del Oeste de Sucre “Clodosbaldo Russian”. We thank FONACIT (Grant No. LAB-97000821) for financial support, Consejo de Investigación de la Universidad de Oriente (Project No. CI 02-010201-1898-14), Proyecto Estratégico Misión Ciencia FONACIT (Grant No. 2007001522). We want to thank the researcher Marielsys Moya for contacting the crystallographers.